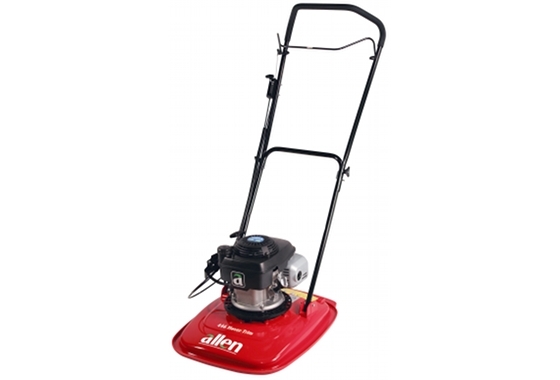 Allen hover mowers are powered by specially designed Honda engines for strength, durability and most importantly, the ability to work on slopes and banks. Engineered to hover smoothly, they glide easily on a fusion of air, allowing movement in any direction, making them quicker and easier than conventional wheeled machines. Ideal for mowing slopes and banks. Strong ABS cutter deck. Powerful 4-stroke Honda engine provide high performance mowing, three height-of-cut settings. Pressurised fuels supply enables mowing at steep angles. Ergonomic shaped handlebars for easy manoeuvrability. Soft handlebar grip for added comfort. Fitted with metal bar blade for heavy duty applications.